Retired May 2006. Nedra Downing, D.O., is a physician, pharmacist, and nutritionist. Dr. Downing was born and raised in Wauseon, OH. A graduate from the University of Michigan Pharmacy School. She owned and operated her own pharmacy in Flint for several years. She returned to Michigan State University to attend the School of Osteopathic Medicine and also acquired a Master’s degree in nutrition. She completed her medical internship at Flint Osteopathic Hospital. Dr. Downing has specialized in nutritional and environmental medicine since 1987. In 1991 she opened The Downing Clinic in Clarkston. In 2004, she welcomed her daughter, Laura Kovalcik, DO, a board-certified internist to the practice. 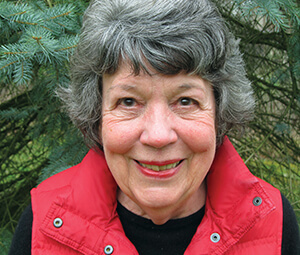 In 2009 she published her first book for children entitled Carousel. It is a collection of poems written as a result of spending time with her grandchildren, John and Katie. 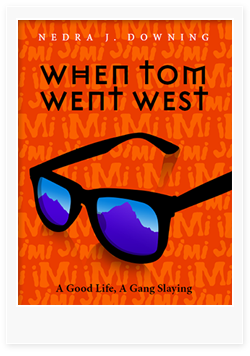 In July 2016, she published When Tom Went West, which chronicles the life and tragic death of her son, Tom Hollar. Tom was killed by gang members during a carjacking in July 1993 and his wife, Christina, was beaten and abducted. Dr. Downing documents Tom’s life in Michigan and his young adult life in Denver as an entrepreneur owner of iMiJimi, a skateboard and punk clothing/accessories store. The murder trial is documented along with how Dr. Downing found her way back to a good life. The book contains a dozen poems and close to 100 photos and is available for sale at The Downing Clinic and through Tattered Cover Bookstores instore and online.